Acorn Controls' water tempering system provides usable tempered water immediately in an emergency, where time delays in receiving proper irrigation of hazardous material exposure can increase the severity of trauma and/or injury. Acorn Controls offers tank and valve size options that are able to supply multiple showers, eye/face washes and eyewashes simultaneously. All of Acorn Controls' water tempering systems, when located in a reasonable proximity to possible work place exposure, provide an environment conducive to quick and proper length of treatment, in accordance with ANSI Z358.1, Appendix B6. 5 x 5 feet all-stainless steel constructed skid for corrosive environments. 120 and 300 gallon tanks options available. 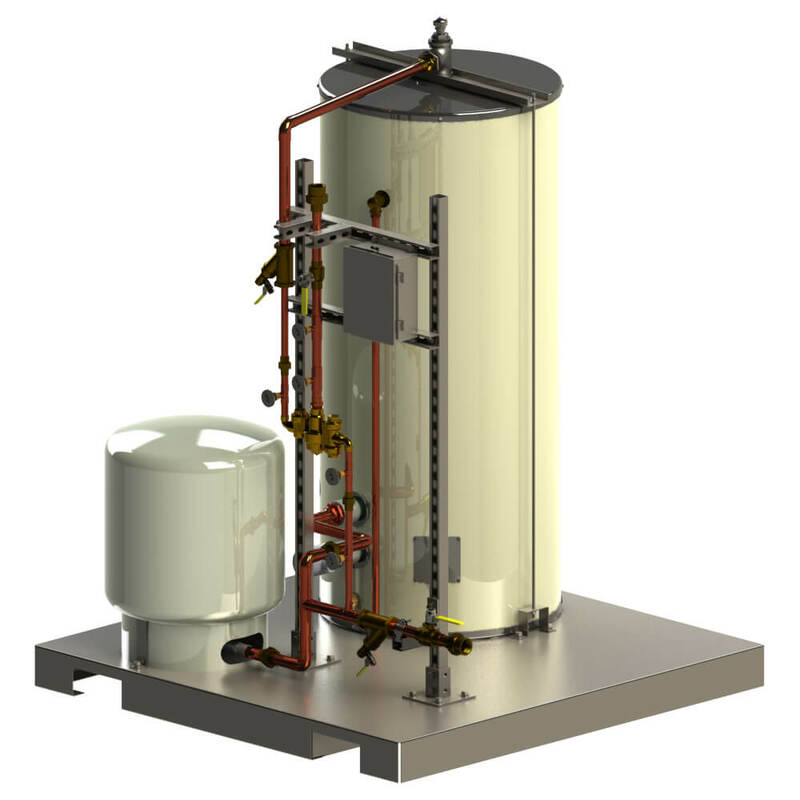 120 gallon NON-ASME or ASME compliant tank with ET71-2 tempering valve. 300 gallon ASME tank will include ET71-3 tempering valve. Utilizes Acorn Controls ET71 Series tempering valves which are IAPMO certified per ASSE 1071 and CSA B125.3. Electrical components in NEMA 4 standard, or optional NEMA 7 classifications. 15 feet (4.5 m), 10 gage, 4 wire power cord with 3 inch, 4 blade twist-lock connector.